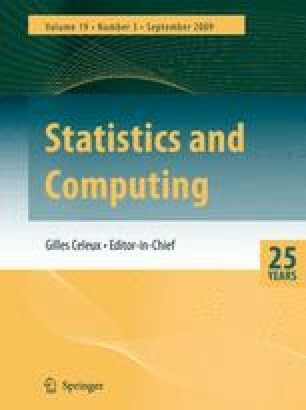 This paper presents an EM algorithm for maximum likelihood estimation in generalized linear models with overdispersion. The algorithm is initially derived as a form of Gaussian quadrature assuming a normal mixing distribution, but with only slight variation it can be used for a completely unknown mixing distribution, giving a straightforward method for the fully non-parametric ML estimation of this distribution. This is of value because the ML estimates of the GLM parameters may be sensitive to the specification of a parametric form for the mixing distribution. A listing of a GLIM4 algorithm for fitting the overdispersed binomial logit model is given in an appendix. A simple method is given for obtaining correct standard errors for parameter estimates when using the EM algorithm.